Providing you with an exclusive glimpse into the future of mobility, upcoming Mercedes-Benz vehicles push the limits of what’s possible. Featuring ingenious electric power and groundbreaking advancements in both technology and safety, these future models have great anticipation surrounding their debut. 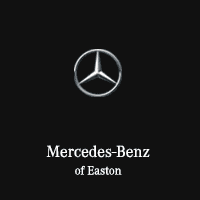 Mercedes-Benz of Easton is proud to introduce you to the next generation of vehicles that will wear the Three-Pointed Star. Meticulously crafted with the proportions of a dynamic coupe, the upcoming Mercedes-Benz A-Class aims to set the benchmark for the premium compact luxury sedan. Exterior styling exudes a cleaner, sportier, and more modern confidence not found in many vehicles of its stature. Also making its debut inside the A-Class is the all-new Mercedes-Benz User Experience (MBUX) system. This revolutionary system has the ability to learn via artificial intelligence and adapt to suit its user. Those searching for the quintessential compact luxury sedan are looking forward to the highly-anticipated launch of the Mercedes-Benz A-Class. Introducing an electrified future to the compact luxury class, the Mercedes-Benz EQA is anticipated to revolutionize what it means to drive an electric vehicle. Power comes in the from of twin electric motors located at the front and rear axles, which combine to produce a total system output of over 200 kW. A permanent all-wheel drive system can automatically distribute torque from front to rear as desired. Offering both inductive and plug-in charging capabilities, the EQA can receive up to 60 miles worth of range from just 10 minutes of rapid charging. Total range is expected to exceed 250 miles. EQ stands for “Electric Intelligence” and is inspired by the Mercedes-Benz brand core values of “Emotion and Intelligence”. Sporting a dynamic exterior design, the EQ SUV is expected to deliver the guarantee of responsive high-level electric performance. The EQ SUV is powered by twin electric motors which produce up to 300 kW thanks to scalable battery components. A permanent all-wheel drive system provides stability and confidence regardless of the road conditions. With an anticipated total all-electric range of over 300 miles, the EQ has inductive charging capability that eliminates the need for wires. An exhibition in state-of-the-art electric mobility, the Mercedes-Benz EQ SUV is expected to have a tremendous impact on EV buyers when it debuts in the fourth quarter of 2019. Expected to revolutionize the way you access infotainment, the all-new Mercedes-Benz User Interface (MBUX) system will make its debut in the upcoming A-Class sedan. One of the most intriguing aspects of MBUX is the fact that it’s able to be individualised and adapted to suit the user thanks to the use of artificial intelligence. Helping to change the way you interact with your vehicle, you’ll have access to high-resolution Widescreen Cockpit touchscreen. Simply say “Hey Mercedes” and the intelligent voice control can activate the navigation system, which features augmented reality technology to help you arrive at your destination with minimal effort. Helping to minimize distraction, the MBUX system gives drivers an operating experience that’s more intuitive than ever before. Mercedes-Benz of Easton invites you to browse our extensive lineup of new Mercedes-Benz models and stay informed on the latest news surrounding future product releases.